LCSD Leisure Link Booking of Sports and Leisure Facility in Hong Kong. Just select the sport desired and the location in Hong Kong to find a public available facility. Jan 18 - 31 in Melbourne, Australia. Stade Roland Garros from May 23 - Jun 6 in Paris, France. Jun 21 - Jul 4 at the All England Lawn Tennis & Croquet Club, London SW19 5AE. 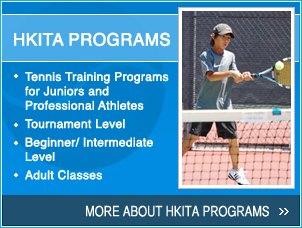 Aug 30 - Sep 12 at the USTA National Tennis Center located in Flushing Meadows, New York. O2 arena from Nov 21 - 28 in London, England. The Official Website of the Asian Tennis Federation. The Official Website of the International Tennis Federation. The Official Davis Cup Website. The Official Fed Cup Website.